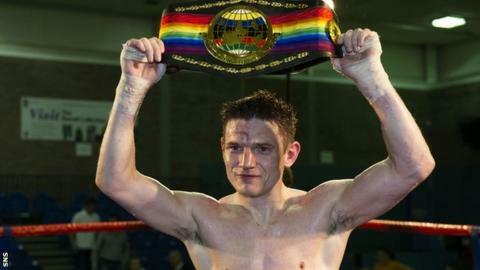 Glasgow light-welterweight Willie Limond will defend his Commonwealth title against British champion Curtis Woodhouse in the summer. The bout, which is on the undercard of Ricky Burns's next fight, will take place at Braehead Arena, near Limond's home city, on 27 June. Woodhouse reversed his decision to retire last month. Willie Limond: 41 fights, 37 wins, four defeats. Curtis Woodhouse: 28 fights, 22 wins, six defeats. "I am thrilled to be getting the opportunity to fight for the British title again," said Limond, 35. "I don't know Curtis personally, but I like the way he goes about his business. He's completely dedicated and he comes to fight, and that means this is going to be a great night for the fans." Woodhouse, 34, clinched his domestic belt with a split-decision win over Darren Hamilton in February. Burns will have his first fight since losing his WBO lightweight title in March.